A couple of my favorite “odd” history books were written by a guy named Erik Durschmied. One was called The Hinge Factor: How Chance and Stupidity Have Changed History. The other book was called The Weather Factor: How Nature Has Changed History. Both were about how seemingly “unrelated things” (random chance or weather patterns) can forever and unalterably change the course of history. Before Jesus is crucified, he tells his followers that he is going to send them another “counselor” who will help them in a variety of ways (John 14-15). He’s talking here about the Holy Spirit, who comes in fantastic power in Acts 2, and at that point takes up residence in God’s people (the church). If you read Acts, and even most of Paul, you find that the Holy Spirit is really the thing for us today. It’s the presence of Jesus with us (and in us! ), and is the power for the church to achieve his work in the world. When the Spirit is at work in our lives, we are able to see more, be more, and do more than we would otherwise. As Paul says, this is the same power that raised Jesus from the dead. And we have access to that. Sadly, it seems that most of us don’t even approach that level of power and freedom in our lives. Instead, we limp around in our sins, content to screw up, confess, and repent, and wonder when (or better yet, if) we will ever “get better” and be able to live a life that we see occasionally in the New Testament: a life that can suffer gracefully, that can forgive lavishly, that can give freely, that can dream radically. Where do we start to get that kind of life? Recently, I heard a professor give this metaphor. One of the Biblical images (and words) for the Spirit is “wind” (Hebrew ruach). Now, Wind has a pretty peculiar, but somewhat predictable, behavior. Weather systems are made up of “high pressure” and “low pressure” systems; these variable levels of pressure force weather and wind around the environment in a constantly moving and evolving system. 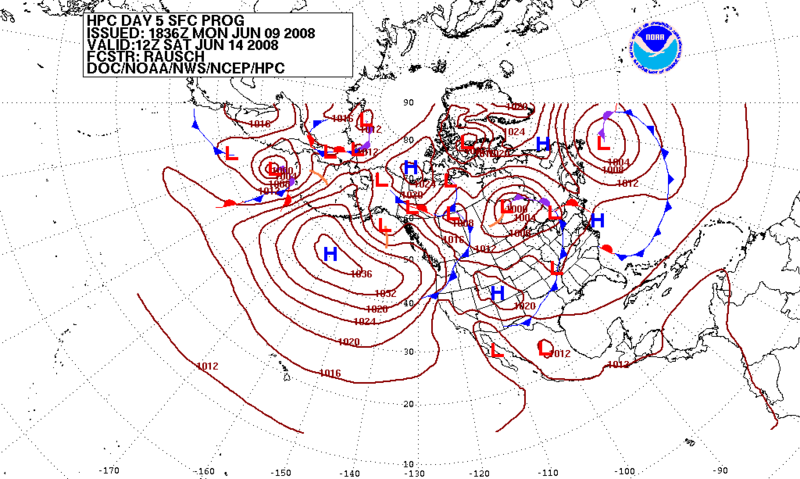 Weather, or “wind”, always flows from “high pressure to “low pressure. The absence of volume, or pressure causes air to flow—sometimes quite intensely—into the area of low pressure. If you want the wind to flow into your life, you have to create a low pressure atmosphere in your life. So, what creates low pressure atmosphere? You have to get rid of what’s occupying the space. You have to get rid of yourself. Self—our ego, our preoccupations, our demands, our agendas, etc., etc.—keeps our lives in a “high pressure situation.” There’s simply no room for the Spirit to come in. This is repentance on a whole different level. This a willing abandonment of our need for security, esteem, approval, and anything else apart from God. Repent? Yes. Absolutely, but make sure your repentance involves an abandonment of your ego, and your demand to have your way in the world. Then the wind can come in. Then the Spirit flows in. It’s as if God says, Finally, this is something—someone—I can work with. This entry was posted in faith, personal and tagged bible, biblegateway.com, Holy Spirit, repentance. Bookmark the permalink.